Together Nancy and Walt will be performing a mix of jazz standards, blues, and pop rock classics at Circa! 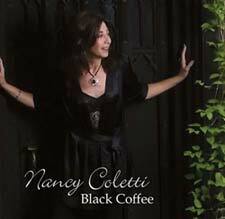 Nancy Coletti Trio ~ Dame Suite! Catch this premiere performance of The Nancy Coletti Trio "Dame Suite"!! Nancy will be performing with pianist Judy Palma and bassist Sue Williams. Together this girl trio will perform music from Nancy's CD "Black Coffee"
artists, movie music and more.